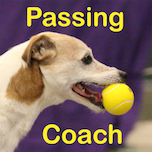 Flyball Passing Coach – A Free Apple App for iPad, iPhones and iPods. Soon to be available for Androids. 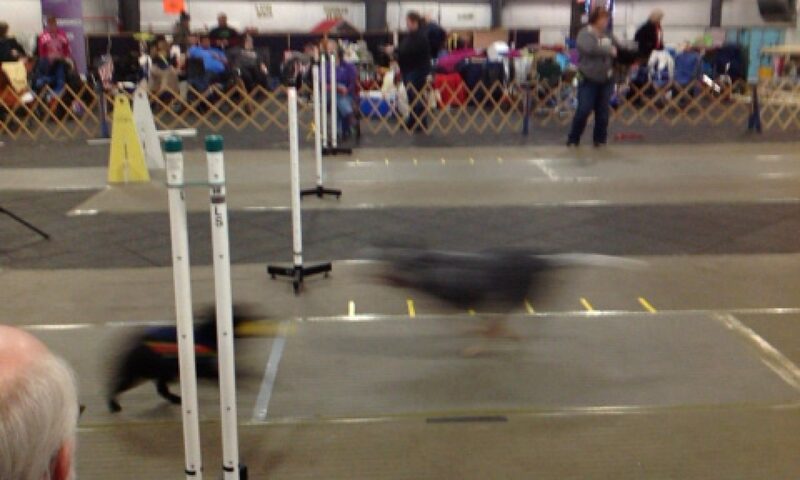 Flyball Passing Coach is a tool that helps handlers effectively pass their dog into another dog while competing in flyball. It was designed for Flyball with the goal of making it easier for the Passing Coach to quickly capture the image that shows where the passing dog is when the dog before him/her is hitting the Finish line, therefore minimizing human error in calling passes. Unlike other Apps that were created for a multitude of other sports, the steps required to find the exact pass in this App is geared to a real Flyball race. Once it’s set up and with a little practice, all you will need to do is hit the screen 7 times and you’ll have all 3 passes on one page to show the team coach or each person individually their passes. We are also interested in what types of changes need to be made to this App to improve it, just hit the Suggestions link within the App or go to Suggestions Link here.